Who is Barry Medusa? What startling observation does listener Rik have to share about James? And why is Mat ruining the story of a Lord of the Rings game? The answers to these questions, as well as a bummer of an intro, await – this episode of the Ranger Danger Dino Super Charge podcast! Sorry this one was such a bummer. Thanks for checking out the show notes, though. I should go back and play Middle-Earth: Shadow of Mordor. Or maybe I’ll wait until The Lord of the Rings: Shadow of Mordor 2: So Many More Rings. John Howard was the Prime Minister of Australia for 11 years. In the 10 years since, we’ve had 4 separate Prime Ministers. He wasn’t great, but I definitely think he believed in what he did and I think that’s important. 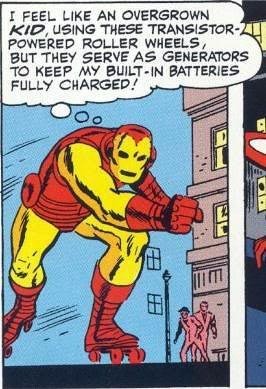 Stan Lee didn’t really know what transistors were, but… well, he had some ideas. Sedusa was indeed a Powerpuff Girls villain.